The SpectraMax® Quant™ dsDNA Assay Kits are designed for fluorescence-based dsDNA quantitation across a broad range of concentrations. Tailored to your different needs, these assay kits are configured and optimized for Molecular Devices SpectraMax® microplate readers, with preconfigured protocols provided in SoftMax® Pro Software for simplified data acquisition and analysis. Quantitation of DNA is a critical step in molecular biology requiring accuracy, reliability, and the use of increasingly smaller sample volumes for applications such as next-generation sequencing. Compared to spectrophotometric DNA quantification, the fluorometric method provides key advantages such as significantly increased sensitivity, high selectivity for double-stranded DNA (dsDNA) over single-stranded DNA (ssDNA) or RNA, and improved contaminant tolerance (protein and carbohydrate molecules). The SpectraMax Quant dsDNA Assay Kits provide pre-optimized, complete solutions that are sensitive, accurate, and easy to use. Figure 1: Standard curve for the three SpectraMax Quant dsDNA Assay kits. (A) AccuBlue Pico kit; (B) AccuClear Nano kit; (C) AccuBlue HiRange kit. Figure 2: Selectivity for dsDNA for three SpectraMax Quant dsDNA Assay kits. The SpectraMax Quant dsDNA Assay Kits consist of unique dyes that selectively bind to dsDNA and yield bright fluorescent signals. An enhancer is also included to further reduce the background fluorescence and increase the dynamic range of detection. The three specially formulated kits enable accurate and precise measurement of dsDNA from picogram (pg) to thousands of nanogram (ng). 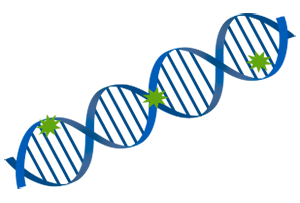 Figure 1: Illustration of the SpectraMax Quant dsDNA Assay kits, where the binding of dye to dsDNA produces fluorescent signal. Figure 2: SpectraMax Quant dsDNA Assay kit workflow.